President Trump promised to keep his businesses out of his presidency. But taxpayers are already footing part of the bill for the Trump Organization's business trips. In January, Eric Trump took a business trip to Uruguay. 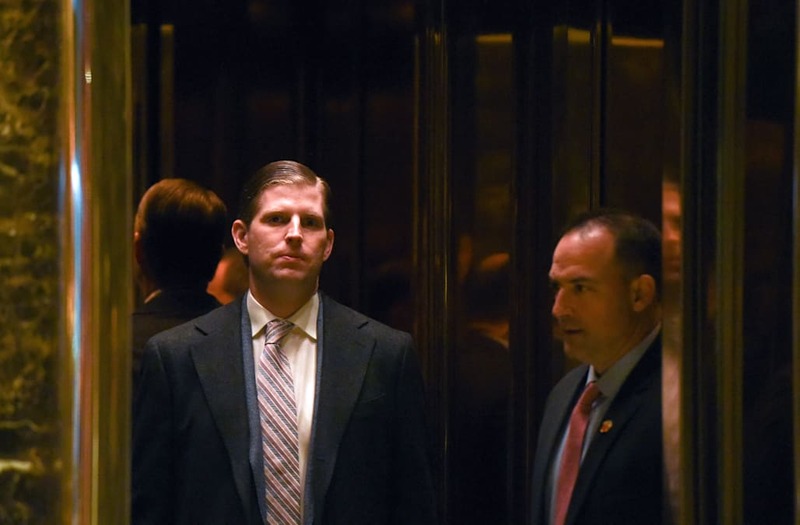 As the president's son, he gets Secret Service protection. The Washington Post found it cost nearly $100,000 to provide the Secret Service with the rooms and support they needed to keep him safe. Eric Trump visited the Trump Tower Punta del Este. The Trumps don't actually own the tower, but they licensed their name to it for between $100,000 and $1 million. Since President Trump has refused to divest of his companies like past presidents, that means taxpayers just paid for part of a business trip that the president will probably profit from. An ethics expert told the Post, "This is an example of the blurring of the line between the personal interest in the family business and the government." Don't be surprised if something like this happens again. The Trump Organization has dozens of businesses all over the world. And since the president has refused to release his tax returns, we don't know how many conflicts there are.